Home > Movies > The Mummy Review: Was It Worth The Reboot? 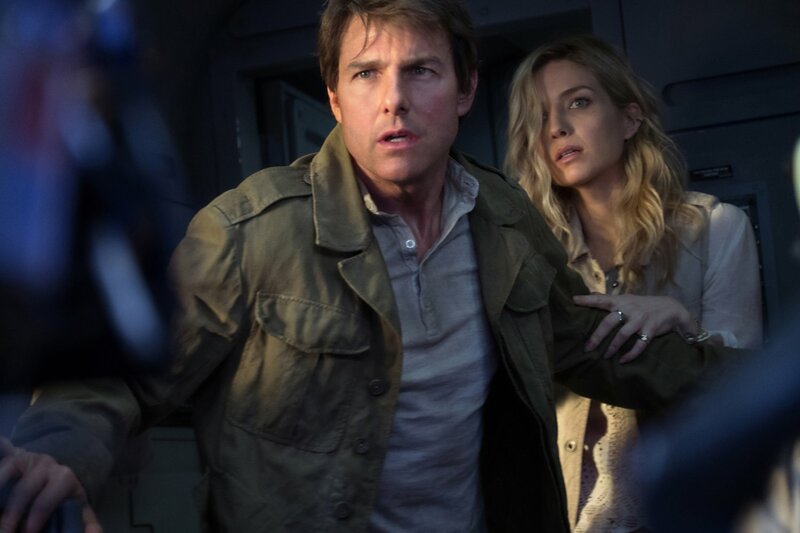 The Mummy is a reboot of the famous franchise, which starred Brendan Fraiser and Rachel Weisz. This time, Tom Cruise is the leading man as Nick Morton, who is a soldier that steals valuable artifacts on the side to make money. His current scheme is to find valuable artifacts hidden in an ISIS stronghold in Afghanistan. He is joined on this mission by his friend Chris Vail (Jake Johnson) and archeologist Jenny Halsey (Annabelle Wallis). While on the mission, they happen to stumble across a 5,000-year-old mummy by the name of Ahmanet (Sofia Boutella) and from then on things escalate quickly. Tom Cruise does a great job at taking on the lead of this film. He is funny and definitely brings his usual action stunts to this movie which is refreshing to watch. I also enjoyed watching Jake Johnson, who is not in most of the film, but when he is present he definitely brings the comedy. Annabelle’s character, on the other hand, was boring as the typical smart and beautiful damsel in distress. Her character became quite annoying to me as the film progressed and was ultimately forgettable as I have seen this type of character time and time again. Russell Crowe is another big name in the film as Dr. Henry Jekyll. I won’t spoil too much of his role, but as you read the name you get the gist of who his character really is. Russell plays his character well as expected and makes you want to see how his character will develop in the future installments of The Mummy series. Sofia does well in her role as Ahmanet and in the beginning of the film, she is scary and powerful. They did a great job in making her character frightening in the beginning of the film, but as she gets closer to being restored to her true form, her character loses excitement. From then on the movie does not reinvent the wheel and we see some of the same stunts the previous villains used in the past films. Overall, I really enjoyed watching this movie which is surprising due to the fact it is a reboot. They definitely paid homage to the original franchise while taking this new series in a more interesting monster direction. This is definitely still a mummy movie, but their fresh take on the storyline was greatly appreciated in this new world of movie remakes. While this movie is not the best I have seen this year, it’s still a fun movie to watch. I would recommend you PAY to see this film in theaters. The Mummy hits theaters this Friday, June 9th. Click here to purchase your tickets at Fandango so you don’t get sold out! Have you seen The Mummy? Share your thoughts on the film in the comment section below. It was a refreshing and new story on all levels… funny moments, total suspense and action packed…I was also scared out of my seat a few times. The ending was not what I expected at all. I like that Tom Cruise’s character was a little flawed. I’m actually looking forward to the sequel.